Blackheads are small, tiny, dark spots on the skin – it is actually a wide opening on the skin (widened hair follicle) which is filled with skin debris, bacteria and oil with a blackened mass covering the hair follicle opening caused by the blockage in the opening of a pore. • Wash your face regularly – minimum 2 times a day (in the morning and before going to bed). It is very important to remove skin oil (sebum), dead skin cell and dirt from your skin. • Hair should be washed also regularly – every day for oily skin and every 2-3 days in cases of normal skin. 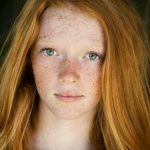 Hair oils can contribute to clogged pores and blackheads development. • Never forget regular daily skin exfoliation. 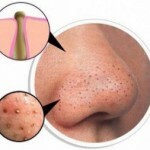 Regular removal of skin dead cells could reduce your chances for blackheads. • Avoid everything which could irritate your skin or trigger skin inflammation (allergic factors, ruff materials or cloths, chemical elements, etc.). • Drink a lot of water every day – at least 1.5-2 liter per day. • Never escape good night sleep (not interrupted) – at least 7-8 hours per day in quite comfortable atmosphere. • Follow healthy balanced skin diet – full of vegetables and fruits and full of all necessary vitamins. Avoid fast oily food. Often birth control pills are used for treatment of blackheads and acne. As birth control pills could balance hormonal disturbances, sometimes they could be very effective treatment for black-heads. Market is full of different types of medications which could be used for blackheads – it could be cream, gel, or pads which women could apply directly on the skin. Most anti-blackheads medications don’t need any prescriptions and could be taken from grocery stores. Most of them contain well known salicylic acid, benzoyl peroxide and resorcinol – all are killing bacteria, drying excess oil, and forcing the skin to shed dead skin cells. Many women use blackhead remover regularly. It could be also a solution for getting rid of blackheads on the skin. To remove blackheads you need to remove them correctly. Otherwise, this puts your skin at risk for scarring and infection. All black-head removers are unique in design – having different sizes and smooth removal instructions. Microdermabrasion is a very specific procedure with special instrument – actually it is a rough skin surface cleaning (sanding) from top layers of the skin. Sanding the skin removes clogs that cause black-heads. Chemical solutions are applied on the skin for removing clogs and dead skins cells that contribute to black-heads. Laser and light therapies use tiny beams of intense light to decrease oil production or kill bacteria. Both lasers and light beams reach below the surface of the skin to treat black-heads without damaging the top layers of the skin. 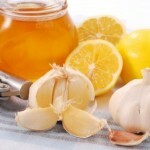 Natural remedies will be discussed on next page – “Blackheads remedies”.